10 Things You'll ONLY Get If You're A Bua! Do you think your brother's children might just be the luckiest kids in the entire world because they have the world's best life coach in you - their aunt? Read on if you agree, and see if you can identify with these other signs common in buas! 1. You are the Pied Piper to the kids. For years and years, you were the one girl in your group who was not comfortable with children, and would grumble at crying babies. But, voila, you became a bua, and almost overnight, you seem to have gained the ability to form loving, affectionate bonds with children and the powers to calm even the most crankiest of babies. 2. Nothing is too uncool for a cool aunt. No face or sound is too silly to make if it can engross your niece/nephew. Who cares if a stranger looks at you like you are a weirdo, if your brother's daughter/son looks at you like you are the funniest stand-up comedian he or she has ever seen? 3. You get to name the kids. Being a bua means you are bestowed with the honour of deciding what your brother's child will be called for the rest of his/her life. That kind of influence on someone's life can be quite heady! 4. You can watch adorable baby videos all day long. Having a bad day? Thankfully, you have hundreds of videos of your nephew or niece saved on your phone to cheer you up and make you laugh. And of course, aunts are almost as likely as parents to forward and show off videos and pictures of their nephew’s/niece’s cute antics. 5. It is bittersweet to see them grow up. Why do babies grow up so damn fast? One moment they could barely roll over, and the next moment, they are off to school and you barely get to spend time with them anymore. The feelings of pride and nostalgia this evokes is something most buas can identify with. 6. You can recognise family traits in the child. It's as good as winning the Nobel Prize if your niece or nephew turns out to be your carbon copy, either in terms of looks or behaviour. You swell up with pride whenever a long-lost relative tells you how much your niece's cheeky grin reminds her of your heydays as the neighbourhood brat. 7. Your affection for your sister-in-law increases by leaps and bounds. Whether you used to get along with your sister-in-law earlier or not, having a baby you both love madly, builds a strong, unbreakable bond. And seeing her deal with parenthood like a champ raises your respect for her by several notches - and you pull up your brother if you feel he is not being a hands-on parent and piling his wife with all the hard work. 8. You feel like a child again. You and your niece/nephew have developed your own secret games and pranks that simultaneously annoy and amuse your brother and sister-in-law. For you personally, it means going back in time and bringing out your inner mischievous child who just knows how to have a great time. 9. You have already planned to buy them their first books. Even though you are sad to see the babies lose their baby-ness, you are looking forward to the time they can read so you can gift them their first Harry Potter book. And you know what that means - even more things in common! 10. You feel like a superstar! Your niece and nephew look up to you as the most cool and amazing person they know - and their aspiration to become just like their bua when they grow up is one of the best side benefits of being an aunt! GIFs: Giphy, Tumblr HAVE A STORY IDEA FOR POPxo? If you want to hear about it, we can write about it! Just tell us your idea here! 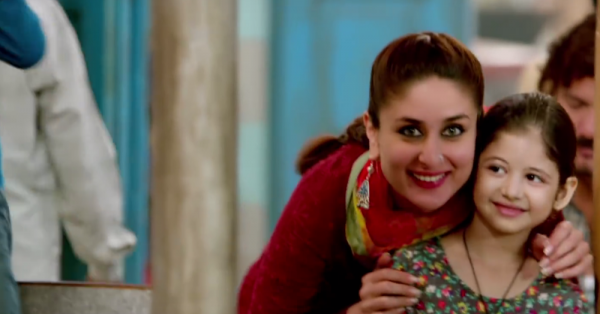 MUST-READ: 9 Things You ONLY Get If You’re A Maasi! MUST-READ: 9 Things You’ll Get If You’re The Favourite Saali To Your Jiju!